FlashGet is specifically designed to address two of the biggest problems when downloading files: Speed and management of downloaded files. If you’ve ever waited forever for your files to download from a slow connection, or been cut off mid-way through a download – or just can’t keep track of your ever-growing downloads – FlashGet is for you. 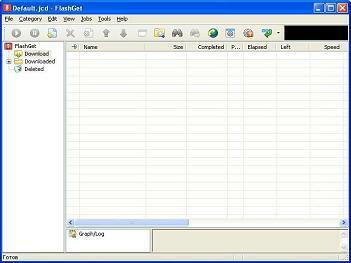 FlashGet supports HTTP, HTTPS, FTP, BT, MMS, MMST, RTSP, ed2k protocol. Optimized the multi-thread dispatching, capability of disc read/ write when downloading; fixed the bug in certain situation that it has no traffic in Drop Zone. Version 1.9.6 added FlashGet Recommendation Page.